Click a question below to reveal that question's answer. How do I use SmileMakers.com? Please visit our How do I use SmileMakers.com page for complete detailed instructions. There is no minimum amount that you have to order. However, there are minimum shipping and handling rates. What is SmileMakers pricing policy? While SmileMakers intends to maintain correct pricing, SmileMakers reserves the right, to be exercised at our sole discretion, to revise prices, limit quantities and correct pricing errors. Does SmileMakers provide printable order forms? Right-click the link below to save a printable order form. What are the methods of payment options? We offer businesses and organizations with established accounts the option of paying for their order after it is received. Just pay from the invoice included in the package within 20 days of receiving the merchandise. If you are looking for a larger quantity on any of our products please call 1-888-800-SMILE (7645) for a free quote. 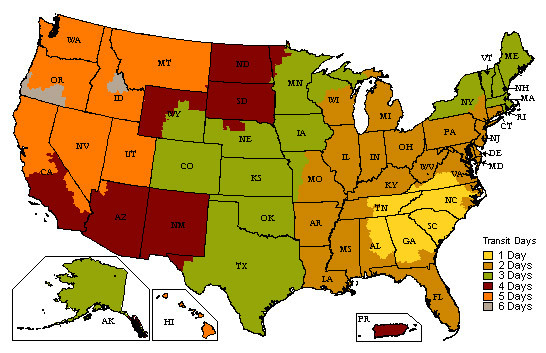 For which states does SmileMakers collect sales tax? AL, CA, CO, CT, DC, GA, HI, IA, IL, KY, KS, LA, MA, MD, MI, MN, MS, NC, ND, NE, NJ, NV, NY, OK, PA, PR, RI, SC, SD, TN, WV, VA, and VT.
How can I exercise my tax exempt status? Tax Exempt? Please call 1-888-800-SMILE (7645) to place your order, and have your tax exempt form ready. I have a balance due to SmileMakers. What are your payment options? You can pay your balance to SmileMakers by calling Customer Service at 888-800-SMILE (7645). How can I view my order history and check on an order status? It's easy to view your order history and check the status of an order. Click here to get started. Click here to change your password. If you are not already logged in, you will be prompted to do so. At SmileMakers, we know slow smiles are no fun. That's why we do our best to get your order out quickly! Most in stock orders received before 3pm EST ship the same day. All in stock orders ship within 5 Business days. Shipments may arrive in two or more boxes. We are located in sunny South Carolina, so please allow normal delivery time. In a hurry? Next Day, Second Day and Third Day Expedited Services are available. Charges for the services depend on package weight - Customer Service will gladly assist you. Puerto Rico, Alaska and Hawaii: shipments via FedEx. Charges depend on package weight - Customer Service will gladly assist you. Orders being sent to the Virgin Islands or Guam will be sent by U.S.Mail. Charges depend on package weight - Customer Service will gladly assist you. How do I get an additional copy of an invoice? It's easy to check on ALL the orders you've placed with SmileMakers. If you placed your order via internet, simply click on the Order History link located in the red bar at the top of the page. From there, you can see the detail of previous orders and even print a copy for your records. If you placed your order via fax or phone click here for our invoice request form. When will my discount and promotions show on my order? Any special pricing or promotional offers will be reflected in your order total after step 3 of the checkout process. You will be able to view this information before finalizing your order. have another company’s name on the package? 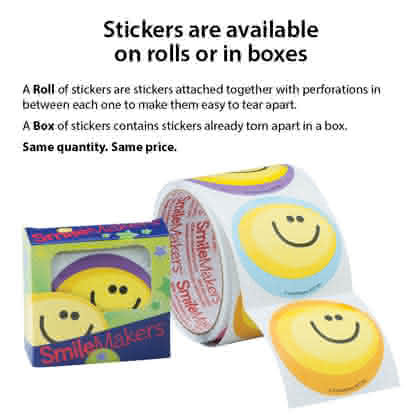 SmileMakers Quality Assurance Promise: In your package, you may see items produced and packaged by other companies. As we search the globe for new products to expand our product selection, we sometimes buy from other companies until we’re sure our customers are going to like the products we selected, at which point we will produce them ourselves. Rest assured that we hand-pick and extensively test each and every product we carry. Every item meets or exceeds Consumer Product Safety standards and must pass our internal testing as well. If you are ever dissatisfied with the quality of a product you receive, please call us. We have a 100% satisfaction guarantee on everything we sell. We will make it right! Does SmileMakers offer EDI? Yes. If you currently use Electronic Data Interchange (EDI) to place orders and would like to learn more about SmileMakers EDI capabilities, please contact us by clicking on the link below. Can I Autoship other products? Currently only products marked "Autoship" are available for this program. How can I edit my frequency, quantity, address, etc.? Just log into your online account to make changes. You'll receive all the login information you need when you sign up. Our office is usually billed, can Autoship orders be billed? Yes! Autoship orders can be billed to your account. Can I add things to my Autoship order? You can include other items on your initial order, when you begin your Autoship subscription. But subsequent orders cannot be combined with other non-Autoship products. Please call us at 888-800-SMILE (7645) from 8am to 6pm eastern time, or email us at customer.service@smilemakers.com. What do you mean by “unit” of stickers? A unit is one box, one roll, or one pack of stickers. The number of stickers in a unit may vary depending upon which type of sticker you are purchasing. How many stickers are in a unit? Our most popular stickers have 100 stickers per unit. Specialty stickers including Glitter, Sparkle, Glow-in-the dark, Foil, Flicker and Scented have 50 or 75 stickers per unit. See each product’s details for exact quantity. How much do the stickers cost? Our stickers are sold in unit quantities. The price chart below shows how much each unit costs. We offer price breaks at certain unit totals. What is the difference between a box and a roll? Is there a difference in quantity between rolls and boxes? No. Sticker quantities are the same regardless of whether you select roll or box. What is Manufacturer Certified Hypoallergenic and Latex Free? SmileMakers is taking the worry out of rewarding with our new manufacturer certification process. Learn more here. Do Manufacturer Certified Hypoallergenic and Latex Free stickers cost more? No! While we have strengthened our product offering, we have not increased our price! How can I tell if a sticker is Manufacturer Certified Hypoallergenic and Latex Free? Stickers that have been converted to our new certification symbol appear on our advertising in our catalogs and website with a green symbol. The backs of the stickers also include our certification seal. What's the difference between Manufacturer Certified stickers and other SmileMakers stickers? All SmileMakers stickers has been tested and are free of latex and allergens, but not all have been certified by our manufacturers because they were produced prior to the implementation of the certification process. We are constantly increasing the number of our Manufacturer Certified stickers and are taking other steps to ensure that no latex or allergens are introduced post-production, including changing the bands around our rolls of stickers. Learn more about the process here. How can I view the logos available for my imprint? or you can click here to view our logo library. Where I can I find specifcations for uploading my own images? You can find them here: View Image Upload Specs. Can I download a printer template for Laser Recall Cards? Yes, click the link below to download the template in Microsoft Word format. What if I need a special delivery date? For rush and personalized orders that are needed in hand, email customer.service@smilemakers.com or call 1-888-800-SMILE (7645). Please include your Customer Account number that is located in the top left corner of your screen after you log in and the Order Number you receive after you place your order. Special shipping charges will apply. Express orders for in stock product ship same day if received by 5pm. Additional Shipping and Handling charges apply for deliveries outside of the United States and its territories and are based on location and weight. Shipping Rates do not include any customs or duty fees. Some items may not be available for sale outside of the United States due to regulations and policies of their manufacturer. Please call for details. Returns are rare at SmileMakers, but if for any reason you're not totally satisfied, you can return the merchandise for a full refund. Simply call 1-888-800-SMILE (7645) to speak with a representative, and we'll arrange to pick up your order. SmileMakers guarantees everything we sell with a 100% guarantee. It's that simple. If your order doesn't exceed your expectations, just call us and we'll exchange it or send you a full refund. Your business is that precious to us. How can I get a SmileMakers catalog? Call the toll free number 1-888-800-SMILE (7645) or click here to request a FREE catalog online. At SmileMakers, we care about the environment. If you receive more than one catalog or if you would like to be removed from our mailing list, please mail us the address area from the back cover of each catalog received. Indicate the correct address or that you no longer wish to receive our catalog. Our fax number is 864-643-5311. From time to time, our mailing list may be shared, rented or exchanged with other responsible businesses. If you'd prefer not to receive these mailings, send us a note with your name and address exactly as it appears on the back of your SmileMakers catalog. Please allow 2-4 weeks to process your request. How do I prevent my SmileMakers Vending Machine from jamming? Only use with SmileMakers tokens. Other tokens and/or quarters may jam the mechanism. Ensure that all capsules are securely closed when filling your machine. If a capsule is not secured it could open during use and it, or the toy, could become stuck in the dispenser. Large Bouncing Balls (not in capsules) and Capsule Toys should not be mixed together. This will likely jam the dispenser. What size Bouncing Balls can be dispensed by SmileMakers Vending Machines without a capsule? Only 43mm – 47mm Bouncing Balls can be dispensed by SmileMakers vending machines without being placed in a 2” capsule. Any smaller or larger size Bouncing Balls will likely get jammed in the dispenser. All SmileMakers Bouncing Balls that are smaller than 43mm can be used in SmileMakers vending machines if placed in a 2” capsule for proper dispensing. My vending machine will not dispense. What’s wrong? Are you using only SmileMakers tokens in the machines? If not, this can cause the token mechanism to jam. SmileMakers tokens are specifically designed to fit in the mechanisms. Other size tokens and quarters may cause the machine to jam. Are you using only 2” capsules or 43mm-47mm bouncing balls without capsules in the machine? SmileMakers Vending Machines are specifically designed for 2” capsules and 43mm-47mm bouncing balls. Other size balls that are not enclosed in capsules and smaller or larger capsules will not work in SmileMakers Vending Machines. Are all of the capsules securely closed? If the capsules are not closed, the lids and/or toys can become stuck in the vending mechanism and cause the machines to jam. If you see that capsules are not closed, please empty your machine, securely close the loose capsules by pressing the lid against the capsule top until it clicks, and refill the machine. My handle won’t turn correctly or is difficult to turn. We recommend that you do the following to ensure that the machine is functioning correctly. If, after taking these steps, you are still having difficulties, please contact customer service. Can I mix Bouncing Balls with Capsule Toys? We do not recommend mixing large bouncing balls that are not contained inside capsules with capsule toys. Due to the weight difference between the 43mm-47mm bouncing balls and typical capsule toys, mixing the two can cause your machine to jam by dislodging capsule tops. Can quarters be used in SmileMakers Vending Machines? No. Quarters may jam the mechanism. Instead, you could set up a trade-in counter at your reception or check out desk so that patients and siblings can trade their quarters for SmileMakers tokens. How do I remove my coins from my vending machine? The token receptacle is located on the side of the machine. Insert one of the black rounded keys into the lock found on the side of the machine. Turn the key clockwise to the “OPEN” position. Pull the key to remove the drawer from the machine. Insert your fingers into the slot on the left side of the drawer and flip the cover up. Reverse the steps above to return the receptacle to the machine. Unlock the front lock and lower the front panel of the machine’s metal base. Inside you will find a black, plastic bin where the tokens will collect. To close the panel, push the front panel back to its original position and lock. Loosen the lock at the top of the machine, but do not remove the lid. Insert the other key into the lock on the front of the machine. Turn the key 90 degrees clockwise. Grasp the Plexiglas cage near the top of the machine and tilt it up and back while keeping the metal base still. The cage will lean backwards, allowing the front panel on the metal base to fall forward. You may need to pull on the token mechanism handle to loosen the front panel the first time you open the machine. Inside, you will find a black, plastic removable bin where the tokens will collect. You will also see the backside of the token mechanism. To close the panel, tilt the top cage backward as before. Push the front panel up into its original position, ensuring that the lip of the panel goes underneath the black lip at the bottom of the cage. Pull the cage down, back into its original position. Locate the coin receptacle on the lower backside of the machine. Insert the coin key into the lock and turn. Once unlocked, the coin receptacle will easily slide out. Do you have online instructions for assembling my machine?